Cindy, itself, is inland and weakening. 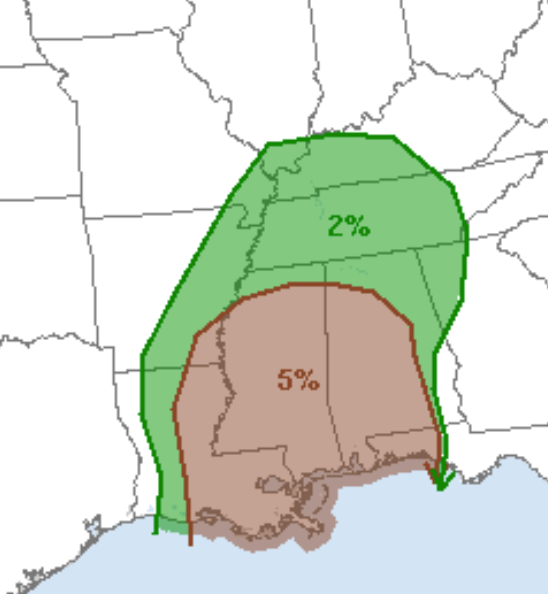 However, the threat for tornadoes and serious flooding continues. The area in brown is the significant threat area for tornadoes until 7am Friday. 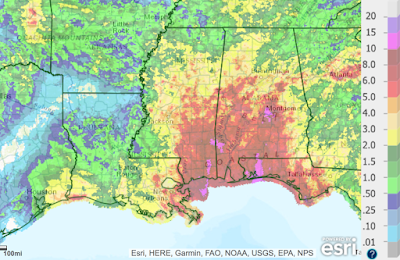 Heavy rain has fallen throughout the central Gulf Coast region. 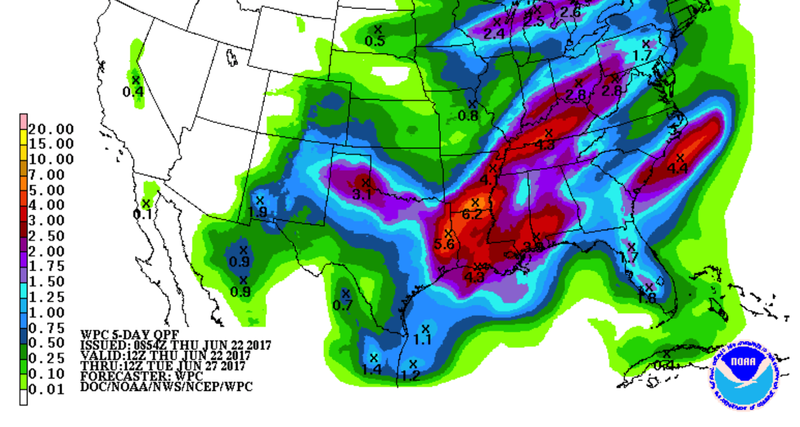 Below is the actual rainfall for the last seven days. I chose that number to illustrate how saturated the ground is already. More than ten inches have fallen in the purple areas. Here is the forecast for additional rainfall until 7am Monday.